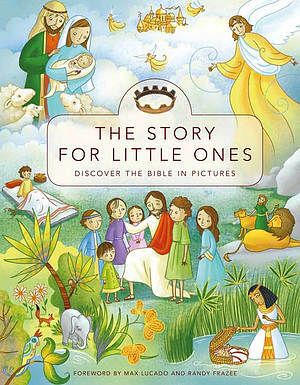 THE STORY FOR LITTLE ONES uses vibrant illustrations and simple text to bring 31 key stories of the Bible to life for very small children. 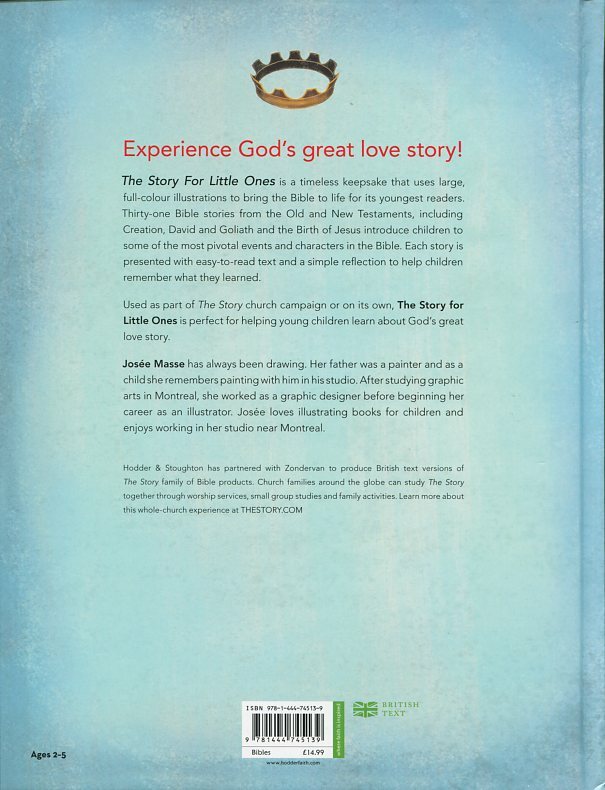 Now children can experience God's great love story! THE STORY FOR LITTLE ONES is filled with exciting illustrations and simple text that bring pivotal Bible stories, including Creation, David and Goliath, and the birth of Jesus to life for children. At the end of each story, a simple message will help children personalize and remember the greatest story ever told. This picture book Bible is designed for children ages 2-5 and is part of THE STORY campaign. The Story For Little Ones by Max Lucado; Randy Frazee was published by Hodder & Stoughton in June 2012 and is our 14838th best seller. The ISBN for The Story For Little Ones is 9781444745139. Apparently simple illustrations are actually detailed enough to express the stories well and accurately. The accompanying words are taken from the NIV Readers edition as are the words on The Story for Kids, for adults and for teenagers, but here they are adapted to suit the age group. For instance in the story of Moses it says Pharaoh did not let the Israelites ‘keep their baby boys’ rather than the phrase in the book for older children ‘you must throw every baby boy into the river Nile.’ Each of the thirty one stories end with a statement about God in bold type. This ranks among the very best of Bible story books for this age group. Highly recommended. Got a question? No problem! Just click here to ask us about The Story For Little Ones.